Looking for your bashert (soul-mate)? You’ve probably already seen him/her – at Sinai. When the Torah was delivered, every Jewish soul stood at Mt. Sinai with his or her soul-mate, according to the Midrash (Jewish commentaries). Now all you need is someone to reunite you. SawYouAtSinai claims that it “combines the power of technology, the accessibility of the internet and the personal touch of a matchmaker.” Their shadchans work with Modern Orthodox to ‘Yeshivish’ to ‘Black Hat’ Jews from around the world. There are other sites that cater to Jewish singles (JDate.com is the granddaddy, begun in 1997, with 600,000 members around the globe), and others that address themselves to the orthodox community (frumster.com, frumdate.com, orthodate.com, dosidate.com). But though the costs are comparable (from free listings to $40/month), they don’t have the two distinctive qualities of SawYouAtSinai (SYAS): matchmakers and privacy. 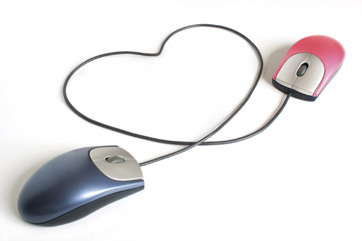 Unlike most dating sites, there is no ‘browsing’ of other members’ profiles and photos. Each member gets to choose up to three personal matchmakers, who hand-pick potential matches. The matchmaker only shows a profile and picture to potential matches. That makes the site more confidential and discreet than most others. It’s geared for people who are interested in marriage (JDate also accommodates those who are looking for ‘just a date’ or an ‘activity partner’). Like some other sites, there is a charity section; SYAS supports Simchat Tzion, an organization that covers the wedding costs of needy Israeli orphans. There are also listings of restaurant discounts and singles events (lectures, parties, cruises), and lists of rabbis and community leaders who affirm that SYAS conforms to halacha (Jewish law), including the President of the Rabbinical Council of America and the National Director of the National Conference of Synagogue Youth (NCSY). When you become a member of SawYouAtSinai, you fill out a comprehensive questionnaire about your religious background, lifestyle, interests, references, self-description and criteria for a mate. You then select your matchmaker(s), based on their background, interests and focus; some specialize in particular ages, religious orientations, locations or personalities. Matchmakers get to know you through email or phonecalls. They may verify your information through your references or an interview. Once the matchmaker offers a matching profile, you have ten days to “accept” or “decline.” The system blocks the same match from being suggested twice, and all responses are kept in strict confidence. When two members agree to a match, SYAS sends contact information so you can arrange a chat or date. Men are expected to contact women within three days. The matchmaker may assist the couple through the dating process, if they desire. Caplan reviewed about 40-50 profiles, and ‘accepted’ about 15. “I was rejected by most of those,” he admits. Ultimately, he only dated two women through SYAS, one of whom he married. He liked the idea of having a matchmaker as intermediary. SYAS encourages members to be open-minded, to take as long as they need to get acquainted before they get engaged, but then they should schedule the wedding as soon as possible. Caplan was committed to the ‘no-touch’ pre-marital rules of Jewish law. He and Molly Cherniak, age 23, who lived in Baltimore, dated for two months (about ten dates), then they were engaged for four months (“too long,” Ron says). They were married on December 28, 2005. Both would definitely recommend SawYouAtSinai. In the middle of the SYAS dating game is the matchmaker. San Diegans Karen Bloch and Raquel Schraub have both served as SYAS matchmaking volunteers. Karen, born in South Africa, is a marriage and family therapist in La Jolla. She and Raquel co-wrote a singles/dating advice column for the site called “Kol Chatan V’kol Kallah” (voice of the groom and the bride). “It’s a great site,” says Karen. “The potential for people to be matched is very good. I had never done matchmaking before. I realized I’m better at analyzing or deconstructing marriages than constructing them,” she says with a laugh. She’s backed off on the matches, but still continues the column. So what’s a shatchan to do? Schraub just launched her own site, called odyeshama.com, taken from the title of a joyous Jewish wedding song. Jewish converts (ger tzedek, converts for righteous reasons) are her specialty, but she accepts all orthodox comers. “I’m trying to take the best of all sites, and add my sensitive, caring approach. Meanwhile, SawYouAtSinai is also branching out, with a new site called jretromatch.com. Currently centered in the Tri-State area (New York/New Jersey/Connecticut), it’s organized just like SYAS, but caters to Conservadox, Conservative, Reform, Secular and Unaffiliated Jewish Singles. The ‘Retro’ name refers to the traditional means of getting together -- matchmaking. Many of these sites attract primarily younger singles, age 20-40. But there’s probably someone out there – from Sinai to cyberspace – for everyone. Copyright 2004-2006 - San Diego Jewish Journal, LLC. All rights reserved.